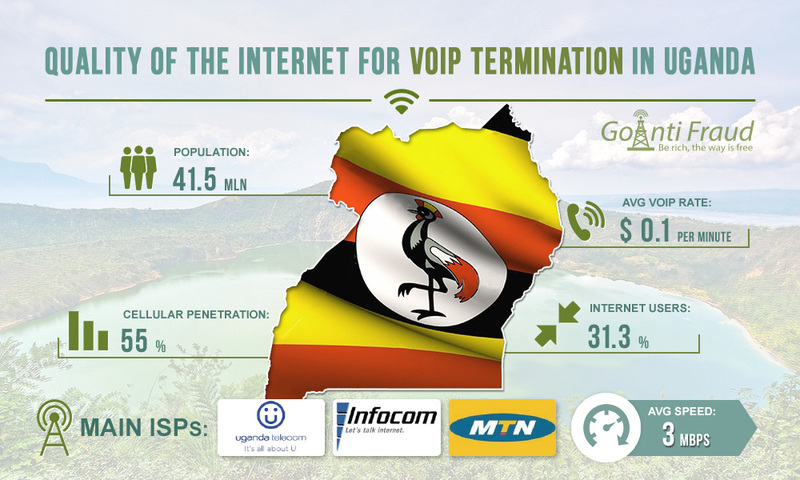 Uganda is a promising African country, in terms of starting a business in the field of GSM termination. By installing addpac ap1000 or other VoIP equipment in Uganda, the terminator can make $250 per channel. This direction has a fairly high rate, which is an average of 10 cents), with a high level of cellular penetration and low rates for local calls. But to run a profitable traffic termination business, you need a reliable Internet connection. Uganda was one of the first African countries to the south of the Sahara to connect to the Internet. However, initially, the prices for services were very high. Later, underwater fiber-optic cables were installed, to which Uganda received access through the national fiber highway. Subsequently, the cost of international bandwidth decreased, making Internet services more affordable. In addition, the coverage of LTE networks has expanded, due to which the penetration of mobile Internet has increased. As of March 2017, the number of Internet users in Uganda was more than 13 million people. That is, the penetration rate of the Internet in the country reached 31.3%. Uganda ranks 15th in terms of the development of the Internet services market among African countries, with the rating including 55 countries of the African continent. For comparison, in 2000, the level of Internet penetration in the country was 0.1%. The average speed of an Internet connection in Uganda is 3 megabits per second. The fastest Internet can be found in the capital - Kampala. To successfully terminate GSM traffic, it is important to provide an efficient simulation of human behavior in the network. If you connect to GoAntiFraud, you can use the proven tools that protect against the SIM lock. We also offer a real database for changing IMEI numbers.